If you’re a Playstation owner, then this story should make you doubly happy. 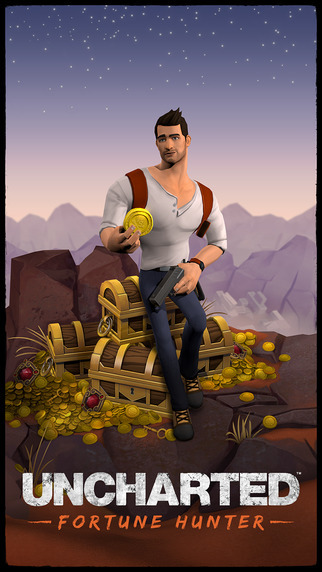 The just-released Uncharted: Fortune Hunter (Free) is an action-puzzle adventure following Uncharted‘s Nathan Drake as he continues to uncover the treasures of some of history’s greatest heroes (or villains). A clear tie-in to Uncharted 4: A Thief’s End, releasing May 10th, Uncharted: Fortune Hunter has you solving 200 deadly puzzle chambers all the while following various legends of history across six adventures. Since this is an Uncharted game, there are plenty of things to collect – all stolen from somewhere, I’m sure – and you can even partner with your friend Sully. 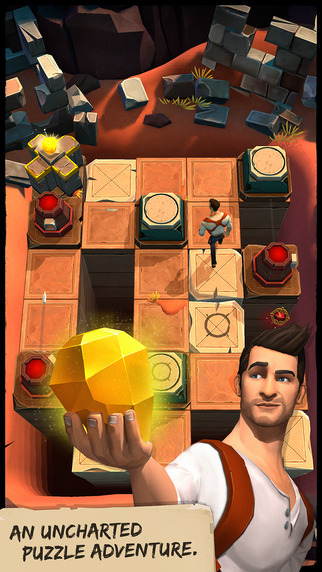 The visuals are cartoony and fun, and the game feels well made, so if you like the Uncharted series or simply like fun puzzle games, you should enjoy this one. Of more interest to Playstation owners is how you can get rewards in Uncharted: Fortune Hunter that can be transferred to the multiplayer side of Uncharted 4. Specifically, if you connect to the Playstation Network, you can transfer rewards such as skins, relics, and one-time-use boosters to the game until May 10th. So, if you’re planning on getting some MP boosts, don’t wait too much. Also keep in mind that the game only works on iOS 9, so if you haven’t updated yet, you’re out of luck.